First of all I would like to apologize for eventual mistakes due to fast typing. In this article I’d like to present gathered all the evidence of «μακεδονιστί» words from the other ancient greek dialects that I’ve found during my research so far. My aim is to present enough ancient greek words both panhellenic and dialectal that share the macedonian phonological aberrancy in order to prove that there’s nothing “extra-Greek” in it , but it represents a phonological phenomenon that has affected thereabout all the Ancient Greek dialects (mostly the Northern ones) , with the only difference being the frequency of occurence. This frequency appears to be the highest in Macedonian , relatively high (but always a minority) in Aeolic and the Northwestern Greek dialects and the lowest (but not inexistent) in the southern Greek dialects (that is Attic-Ionic and Arcado-Cypriot). First let’s define the «μακεδονιστί» phonology , that is the “macedonian manner of speech“. Many of the macedonian glosses , personal names , month names and toponymics that have been written down and came to us although undoubtedly related to known Greek words show a striking characteristic : they are written down with the letters [β,γ,δ] where the “standard” Greek forms have respectively [φ,χ,θ] . The phenomenon is noted for more than a century and there has been an intense academic debate on it’s interpretation , and this interpretation judged whether or not the tongue of the ancient Macedonians was a Greek dialect or not. The argument starts from the basic assumption that during the pre-Hellenistic period , that is let’s say before 300-350 BC , the greek letters [β,γ,δ] had the phonemic value of voiced stops [b,g,d] respectively , meanwhile the letters [φ,χ,θ] had the phonemic value of voiceless aspirates [/ph/,/kh/,/th/] (the kind of “breathy” sound that an english speaker produces at the beginning of the words “pen” , “cow” and “ten” respectively. The phonemic values of these letters were not ment to be for ever and from a time that conventionally is put within the Hellenistic Period (sometime around 300-200 BC) all the above letters acquired “continuant” phonemic values : [β,γ,δ] became voiced spirants [/v/,/γ/,/δ/] , meanwhile [φ,χ,θ] became voiceless spirants [/f/,/χ/,/θ/] , that is the phonemic value that they still have in modern Greek. “[…] from the manner of writing after the introduction of the Attic alphabet we may conclude that in the Boeotian dialect at least one of the three voiced stops /b/ , had turned into the continuant /v/ even during the classical period. In Macedonia , I believe that Hatzopoulos (1999) is correct on considering the mistaken form βεφαίως found in a ca. 350 BC inscription from Amphipolis as an indication that at that time «β» had become a voiced spirant /v/ and «φ» a voiceless spirant /f/ . /v/ and /f/ are very close phonologically in order to be interchanged in “unorthographical forms” , meanwhile the earlier /b/ and /ph/ phonemes are much more distant in order to perform that interchange. The same we have seen in Lakonian «β» substituting the digamma /w/. A substitution of the genre can occure only after «β» has made the transition /b/>>/v/. The phonemic overlap was most intense roughly during the period 400-200 BC , but this doesn’t mean that it was inexistent earlier and later. and their name is comparable to the region Παραυία located immediatelly north of the Middle Aous («παρά τον ΑἴFα» , “by the Aous“) , which was inhabited in historical times by the molossian Παραυαῖοι. That region hosts the best cross of the river ΑἴFας / Ἀώος , near the modern city of Konitsa. Can the Perraiboi be viewed as “the holders of Aous’ pass” (Aeolian πέρῥας = crossing pass” similar to Ionian πειράω = “to cross on the other side” >> Πειραιεύς — just like Aeolian ξέννος for Ionian ξείνος from mycenaean xenwos – Doric ΞένFος— + Αἴβας as variant of ΑἴFας) ?? Of course there are also other equally probable etymologies for the name Perrhaeboi/Περῥαιβοί. Instead of admitting a so early case of a digamma being substituted by a spirant «β» (/w/ – /v/) one can use the PIE term *h2eb– “river” [PIE, 552] in providing the -aiboi of the Perraiboi always as “Holders of the River Cross” , but with an expected [b] value for the «β». Anyway , regardless of the etymology that lies beneath the Perrhaebians , the spirantization of β in /v/ during the late classic period in Lakonians and Boeotians is a very plausable fact. The above examples are indicatives of the existense of the “consonantal phonemic overlap” operating already during the Classical period and , in the same manner the “rural modern greek” variants δέντρο (/δendro/) , κόμπος (/kobos/) , γκαστρωμένη (/gastromeni/) and μπουμπουζίζω (/bubunizo:/) denoting a preservation of the pre-Hellenistic phonemic values of /dendron/ , /kombos/ , /gaste:r/ and /bombos/. I hope that the above examples have shown the “conventionality” of saying that between 400-200 BC greek has turned into spirants the consonants «β,γ,δ,φ,χ,θ» and it’s this conventionality that creates the uncertainty in attributing exact phonemic values in words that have come down to us in a written form. Sinse the debate about the ancient macedonian tongue is based primarely on the interpretation of words that have come down to us only in a written form it is logical to understand why it inherited the above mentioned uncertainty. Having presented the uncertainty in interpreting the absolute phonemic value of a writen «β,γ,δ» as [/b/,/d/,/g/] or [/v/,/δ/,/γ/] and the writen «φ,χ,θ» as [/ph/,/kh/,/th/] or [/f/,/χ/,/θ/] we can be a little more certain in the relative interpretation : that is sinse the same nebulous uncertainty covers both Macedonian and the known Greek dialects , this permites us to postulate that a lets say 400 BC Macedonian «β» is not more difficult to interpret than a Boeotian «β» of the same period. This means that the older the attested written form is the more probable (but not 100% certain) the written «β,γ,δ» and «φ,χ,θ» represent respectively voiced stops [/b/,/g/,/d/] and voiceless aspirates [/ph/,/kh/,/th/]. Greek is an Indo-European (IE) language and like all the other IE languages it derives from a partially reconstructed hypothetical Proto-Indo-European (PIE) precursor. That precursor was spoken most probably in the Pontic-Caspian Steppes between ca. 5000-3000 BC. As it’s bearers gradually expanded PIE was first disintegrated into regional dialects and those dialects in time became separate languages , each consisting of it’s own dialects. Each emerging language has made certain innovations common or not with other languages as it has made certain preservations again common or not with other languages. The original PIE language according to the most accepted linguistic view was characterized by a “breathy voice” , that is it possessed a series of voiced aspirates * [/bh,/gh/,/dh/] , among with a series of voiced * [b,d,g] and voiceless * [p,t,k] stops as it also possessed a series of labiovelar consonants * [kw,gw,gwh]. 2) Proto-Greek , that is the prescursor that gave all the known historical and prehistorical greek dialects and which first started to develop the peculiarities that Greek does not share with any other IE language. I) The devoicing of the PIE voiced aspirates *[/bh/,/gh/,/dh/] in voiceless aspirates [/ph/,/kh/,/th/] (at least before starting to turn them into spirants [/f/,/χ/,/θ/] much later as we have said above). II) The preservation of the labiovelars at least until the Mycenaean Collapse of ca. 1200 BC (in the Mycenaean Linear B tablets the labiovelars appear to be intact) and their successive relatively rapid transformation during the next 2-3 centuries (ca. 1150-850 BC) , transformation that seems to follow certain rules : /gw/>> /b/,/d/ and more rarely /g/ , /gwh/>> mostly /th/, /ph/ , but also /kh/ and sometimes /b/ and /d/ and finally /kw/ >> mostly /p/ and /t/ and rarely /k/. So we enter the Archaic Period (750 BC) and the beginning of the alphabetic writing and we find Ancient Greek already disintegrated in a mosaic of dialectal branches (that according to the widely accepted classification of Ernst Risch and Walter Porzig in the 50s there are a northern Greek group consisting of the Aeolian , Northwestern Greek and Doric dialects and a southern Greek group consisting of the Attic-Ionic and Arcado-Cypriot dialects) , each one of which composed by a number of regional subdialects ( For instance Lesbian and Boeotian are both Aeolian dialects , Locrian and Aetolian are both NW Greek and Euboean and Asiatic Ionian both being Ionian ones). What is the position of the ancient Macedonian tongue ?? Is it a dialect of Greek or a sibling to Greek language ?? Aberrant Greek dialect or sister language to Greek !! This has been the answer that most linguistists hold for a very long time. The vast majority of the historians one the other hand , due to the possibility of a global examination of the ancient Macedonian society , religion and tradition have started much earlier to settle down towards the original Greekness of the ancient Macedonians. What kept at distance many linguists from sharing the same opinion with the majority of the historians ? It was the belief that according to the long-established interpretation of the written «β,γ,δ» and «φ,χ,θ» as respectively voiced stops (/b/,/d/,/g/) and voiceless aspirates (/ph/,/kh/,/th/) , “Macedonian stands apart from every other greek dialect sinse it has deaspirated the PIE voiced aspirates * [/bh/,/gh/,/dh/] into voiced stops [/b/,/g/,/d/] , instead of devoicing them into voiceless aspirates [/ph/,/kh/,/th/] a property that is also shared by the other known Paleo-Balkan IE languages like Thracian , Illyrian and Phrygian. To give some examples the PIE root *bher– “to carry”/”to bring” has given the greek verb φέρω (/phero:/ , “I bring/curry”) , but the macedonian month name of September was Ὑπερβερεταῖος (“hyper-provider”) which was also found in the macedonian (Dion , Pieria) cult of Zeus Hyperberetas . In the same manner the macedonian variant of the name Φερενίκα (“bearing Victory”) was Βερενίκα , meanwhile the name Χαιτέας from Greek χαῖτη = “mane” (/khaite:/ from PIE * ghait(s)-) in Macedonia has been attested as Γαιτέας (assumed /Gaiteas/) and the Macedonian word δῶραξ (“spleen”) and the month name Ξανδικός show a [/d/]-for-[/th/] relation to “standard” Greek θῶραξ and Ξανθός. Here I leave aside Macedonian and I’ll examine words from the known Greek dialects that show a «μακεδονιστί» orthography , that is forms written with «β,γ,δ» instead of «φ,χ,θ» from terms that have a PIE reconstructed root containing respectively the voiced aspirates * [/bh/,/gh/,/dh/]. I choose the term “orthography” and not “phonology” , because it’s the written forms that we can compare to our reconstructions , sinse as I’ve said above there is a phonological uncertainty due to the overlapping of the two consonantal phonological systems [(/b/,/g/,/d/)-(/ph/,/kh/,/th/) vs. (/v/,/γ/,/δ/)-(/f/,/χ/,/θ/). “A History of ancient Greek : From the Beginnings to Late Antiquity” (CUP , 2007) edited by AF Christidis. “The speech of the ancient Macedonians, in the light of recent epigraphic discoveries” By Miltiades Hatzopoulos, VI International Symposion on Ancient Macedonia, 1999. When I’ll be refering to Mallory & Adams I’ll be writing [PIE, page] and when I’ll be refering to C.D. Buck I’ll be writing [TGD, page]. The PIE reconstructed word for “earth” is * dh(e)ghom [PIE,120]. Starting from * dhghom , greek has first transposed the complex dhgh in ghdh (as it has done with *dhghu- “fish” in ἰχθύς and with *dhghyes “yesterday” in ἐχθές , [PIE,472]) which apparently followed two paths. The “standard” Greek path gave χθῶν “earth” (hence Chthonic) and Homeric χθαμαλός , before simplifying it to later χαμηλός , meaning “low onto the ground“/”humble” (this latin analog has the same history deriving from latin humus for “earth”). Interestingly , there is also an “aberrant” Greek path which deaspirates «μακεδονιστί» *ghdhom into * γδῶν and from that eliminating one of the two consontants produces a plethora of Greek words like the δ-forms Δωδῶνα Μακεδονία rispectively “Zeus’ Land” and “Highland” and Ποτίδας («πότις Δᾶς» = “husband of the Earth” , originally an appellative of the archetypic maschuline god Dodonaean Zeus that later evolved into the Sea and Earthquake God Poseidon) , and Δήμητρα («Δᾶ μᾶτηρ» = “Earth Mother”) and the far more known γ-forms as γῆ,Γαῖα,γόνα providing the first synthetic of terms like Geology , Geometry and the Upper Macedonian region Πελαγονία (probably “dark land” like Pelops = “Dark faced”) and it’s river Ἐριγών probably meaning “flowing through the Dark Land” (Erig- is probably related to greek Erebos = “dark underworld” , which in [PIE,330] is derived from PIE * h1regw-es = “a place of darkness“). The modern slavic name of Erigon is Crna Reka meaning “Black River” which confirms the previous connection. So the panhellenic terms Δᾶ and Γαῖα are the “aberrant «μακεδονιστί»” cognates of “standard” greek χθῶν , but are used by all Greeks sinse time immemorial in both Religious (Demetra , Potidas , Gaia) and Everyday (γεωργός = “earth worker” = “farmer”) language. I’ll end my “Earth” discusion with the two homeric epithets of Poseidon (Potidas = “husband of the Earth”) both meaning “Earth-Shaker” : Γαιήοχος (*dhghom “earth” , *wegh- “shake,set in motion” [PIE,391] and Ἐνοσίχθων. i) Preservation of the aspiration in *dh and grupping of the /w/ with the preceding /i/ in order to form a /u/ (like Aiwas >> Aous). So we have Dhuona >> Thuona (Θυόνα) !!! At this point it’s interesting to note that Thuona is similar to two Old Irish terms that derive also from PIE *dheghom- , that is du-“place,spot” and duine-“human being” [PIE,120]. It is interesting that Old Irish du-duine and Latin homo-humus indicate a indo-european belief that “the human beings are made of earth“. ii) Deaspiration of *dh in d and grupping of the /w/ with the following /o/ in order to form the omega in /Dio:na/ (Διῶνα) !!! If this analysis is accepted then the Dodonaean Διῶνα is simply the aberrant «μακεδονιστί» variant of Θυόνα , and it appears to be much more widespread and known among Greeks than it’s “standard” Greek form. Furthermore , if we accept the Diona-Thuona relation then we get a very good etymology for the god Dionysus’ name as “Son of Diona” : «Διῶνας ὑιός» or the metronymic adjective «Διῶνειος ὑιός» >> Διώνυσος , when we know that his mother was Thuone/Semele !!! The god Dionysos has also been tentatively identified on the tablets. His name , in the form Diwonusos , appears twice in Pylos , but both tablets are too fragmentary to make it certain the name is referring to a god. Until his name was found on the tablets it was believed that his worship only began in Greece after the end of the Dark Age. So it appears that the Bronze Age Greeks had a cult of Dionysos as “Son of the Earth“. At soem point -possibly during the Dark Ages or even earlier- they forgot the link with Diona and so they adopted the Thraco-Phrygian name Semele as Dionysus’ mother. It is interesting that the Homeric Epics do not mention the name Dionysos , but are we sure that Dionysus in his quality of “son of the Earth” is not present in the epics ? Dionysus’ cohorts are the lascivious Saturoi and their doric name is Tituroi. But who is Tituos ? 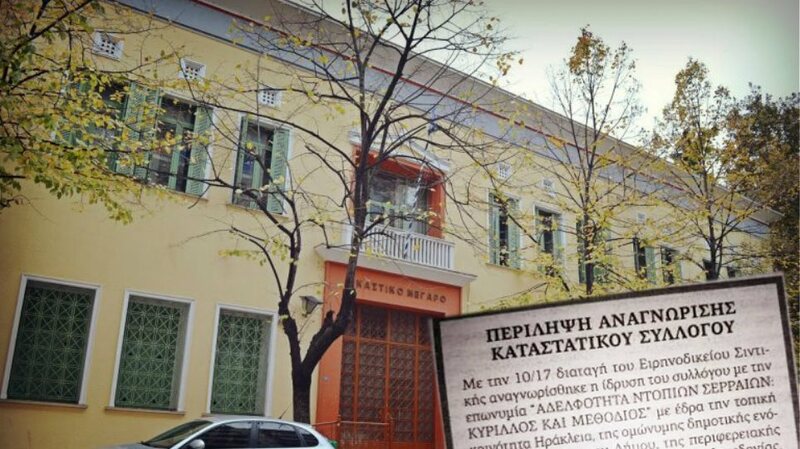 δέρτρον ἔσω δύνοντες• ὁ δ’ οὐκ ἀπαμύνετο χερσί. Πυθώδ’ ἐρχομένην διὰ καλλιχόρου Πανοπῆος. “Tituos the well-known Son of the Earth (Γαίης ὑιός) who is punished in Hades for having violated Zeus’ wife Leto !! Can it be simply accidental ? Tituos , “Son of the Earth” , agent of a lascivious action , like the ones that the Tituroi were commiting , the followers of Dionysus also “Son of the Earth” (son of Semele and “Diwoneios Huios“). i) The Δυμάνες were considered to be oldest dorian subtribe and the Dorians were known for their macrochronic migrations before ending in the Peloponnese (Herodotus , I.56) not to mention that in all that time they practised pastoral transhumance , that is moved their flocks back and forth between highland summer pastures and lowland winter quarters. It it obvious why the name Dymanes was applied to a long migratory and nomadic Greek tribe as it is obvious the link with the PIE root *dhuh2mos “be in motion“. ii) Further confirmation comes from the Odyssey. In [IX.793, XII.311] we find the phrase «νήδυμος ὕπνος» meaning “unshakable sleep” (the νη- has a “steretic” value as in νήπιοn = “small child” from νε-Fἔπος (“the one who can’t talk yet“) , meanwhile the Greek personal name Νήδυμος (with the meaning of “unshakeable”/”intrepid”) has been attested. 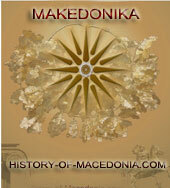 It is interesting here the name ΑΔΥΜΟΣ found in Macedonia. The excavators related to NW Greek Hadys meaning “sweet”/”pleasant“. I do not know if the spiritus asper was evident in the inscriptions , because if it wasn’t then the etymology “unshakeable”/”intrepid” is also possible just like Nedymos and the mythic Atreus. iii) Always from the Odyssey [VI.22] we have the phrase «ναυσίκλειτος Δύμας» “Dymas the famous (Phaeacean) Navigator“. Sinse most of the Phaeacean personal names found in the Odyssey are related to naval activities it seems to me obvious the relation between the name Dymas , the PIE root *dhuh2mos “be in motion” and his activity as Navigator (“moving in Sea“). So again we find Greek terms that date to the homeric epics , if not to the days of the Dorian Migration , that still formed personal names in historical times and present the aberrant «μακεδονιστί» phonology (δ for θ). Dymas , Dymanes , Nedymos , Adymmas and possibly Adymos (if not Hadymos) have the same root (PIE *dhuh2mos) with the “phonologically standard” Greek word thymos. Again the Greeks have been using them sinse time immemorial. One of the most characteristic and ancient epithets of Zeus was the Ὑψιβρεμέτης (hypsibremetes) , meaning “thunderclapping from high above” (Iliad XII.68 and Hesiod’s Works and Days verse 8). The root of βρεμέτης is without doubt the PIE root *bhrem- “making noise” (the *bh is certain because of the Latin (fremo “roar” , fremitus) and Sanskrit (bhramara = “bee”) cognates [PIE,363]. The same root gave the panhellenic word for the noun “thunderclap” βροντή , the verb “to thunderclap” βροντώ and the name of one of the three original Cyclopes (Arges , Steropes and Brontes) , who according tothe Greek mythology “gifted Zeus with the thunder and the thunderclap“. Ζηνός τε βροντῇ• φάτο γὰρ τείσασθαι ἀλείτας. All these panhellenic terms are aberrant «μακεδονιστί» phonologically and their respective “standard” cognates with a «φ» have never been attested. Their use in the religious-mythological language testifies for their antiquity , meanwhile their use in everyday language till today testifies for their frequency within the Greek language. In [PIE,477] we have a list of the reconstructed PIE roots starting with the voiced and aspirated labiovelar *gwh. One can see roots like *gwher– “warm” (Greek Θέρος “summer”) , *gwhermos “warm” (Greek Θερμός again “warm” , hence thermic) , *gwhaidros “bright,shinning” (Greek Φαιδρός meaning the same thing) , *gwhonos “thick,sufficient” (Greek ἄφθονος “plenty”) , *gwhren “think” (Greek φρονέω , φρήν meaning respectively “I think” and “thought”/”mind”) , *gwhen “to strike” (Greek φονέω “to kill” , φονιάς “killer” , and most probably the greek name-endings -φόντης “killer/slaughter” in Linear B tablets stil “-qo-ta” [/-gwhontas/] , -φων , -φόνα as Bellerophontes “killer of the serpent” , Xenophon “killer of the Strangers” , Persephona “killed by Perseus“). So far we’ve seen roots that gave “Standard” greek cognates , turning *gwh in «φ» and «θ». I kept the most interesting term for last. The list gives also a reconstructed term *gwhel- with the meaning “to want”/”to wish”. Latin Volere , English Will descent from it , as of course the greek variants βούλομαι (koine) , Thessalian βέλλομαι [TGD,354] , NW Greek δήλομαι/δείλομαι [TGD,61] and later common Greek θέλω all meaning “to want”/”to wish”. As you can see , sinse the oritiginal PIE root is aspirated (*gwh) , technically speaking only the later θέλω is “standard” Greek phonologically , meanwhile all the other panhellenic and dialectal variants used widely and for long appear as aberrant «μακεδονιστί» (this is obvious comparing δήλομαι/δείλομαι to θέλω which have the relation of θῶραξ- δῶραξ , δανός-θάνατος , ξανδικός-ξανθός). Sinse the *gwh was intact in Mycenaean Greek (Linear B “-qo-ta” for “-φόντας”) , all these phonologically aberrant terms were formed relatively lately (1150-850 BC) from a common mycenaean precursor that is obviusly Early Greek and already itself derived from proto-Greek. So there is no doubt about the “greekness” of the phonologically «μακεδονιστί» aberrant terms βούλομαι,βέλλομαι,δήλομαι,δείλομαι. In the title of this paragraph I’ve also included the word “voice”. Close to the complex *gwh is the complex *ghw and the reconstructed cognates that initiate with it are presented in [PIE,476]. We have PIE *gwher “wild animal” which gave Latin ferus and from that English ferocious. In Greek it gave the paired variants θήρ and φήρ (the second mostly Aeolian) both meaning “wild beast”. Beneath *ghwer we have *gwhonos “a sound , a voice”. That gives obviously the panhellenic and diachronical greek word for “voice” φωνή. Another possible root is PIE *bheh(a)meh(a) “saying” from *bheh(a)- “to speak”. The last ones gave the greek words φήμη (“fame”/”saying”) and φάσκειν (“to speak”). What ever the derivation of φωνή is it’s time to face an old problem. The Lakonians used to say βώνημα for “speech”. This «β» for «φ» is also attested in other examples Lakonian (βάγαρον from φῶγω (“roast”) , βάλιος from φάλιος (“partially white”), βέρνα from φέρνη (“lot” from φέρω and PIE *bher-) and αἴδωσσα for αἴθουσα or Elean (βρά “brother” from PIE *bhrater , which gave “standard” Greek φρατρία = “brotherhood”. All these examples led many scholars during the “Panillyristic warmths” of the first half (mostly) of the previous century to endorse the opinion of the Illyrian-partial Illyrian origin of the Dorians and the NW Greeks. By doing so they started to create an “imaginary” Illyrian language that was “suspiciously” similar to Greek , with only difference the phonology. Even till today practically nothing is known about Illyrian and the little that we know about it makes it look more distant to Greek that what was once thought. In technical terms , there is nothing suspitious and non-Greek about the «μακεδονιστί» Lakonian βώνημα compared to φωνή . If the latter derives from PIE *ghwonos then βώνημα stands to φωνή exactly as βούλομαι-βέλλομαι ( *gwhel– “to wish”/”to want”) stands to φόνος ,φονέω , φόντης ( *gwhen– “to strike”). Αἴδωσσα and Αἴθουσα on the other hand , have the exact relation that θέλω and δήλομαι/δείλομαι have and the one that θυμός and νήδυμος (both widely used by the Aeolian and Ionian Eastern Greeks who wrote the Epics and who had certainly no geographical connection to the Illyrians as we’ll see below). If again φωνή derives from PIE *bheh(a)meh(a) (like φήμη) then βώνημα is the exact analog of the clearly Greek terms hypsibremetas , bronte and Brontes (PIE *bhrem-) that we have already presented above. In this second case βώνημα is not the only aberrant «μακεδονιστί» in it’s semantic field. We shouldn’t forget the Epic (mostly) verb βάζω meaning “to speak” , “to say” («ἔπος βέβακται» “word that has been said” , Odyssey [XVIII.408]). It’s very close to φάσκω and the PIE root *bheh(a)- “to speak”. Another term that is used in the Odyssey similar to the lakonian βώνημα is βωστρεῖν used in the Odyssey [XII.12] as “call loudly“. What ever the precursor of φωνή and βώνημα is their phonologically aberrant cousins βάζω , Ὕψιβρεμέτης , βροντή , Βρόντης and βούλομαι-βέλλομαι were widely attested all over the Greek World and mostly they are attested in the Earliest Epics writen down by the late 8th century BC Asia minor/Aegean Ionian/Aeolian Greeks who almost certainly haven’t interacted with the Illyrians. Not that the Dorians have interacted with the Illyrians neither in my opinion , for the simple reason that archaeologically speaking the Illyrians have reached for the first time the Shkumbi river in Central Albania around 1000 BC (N.G.L. Hammond in Cambridge Ancient History III.1 , page 629 :”…Parthini who held the middle and upper valley of the Shkumbi. It is likely that all these tribes moved into these habitats in the late eleventh or early tenth century B.C.“) , meanwhile at that time the Dorians and the Aeolians were already in their historical positions (Peloponnese and Lesbos-adjucent coast respectively) for about a century , sinse it was the Phrygian Descent sometime between 1200-1150 BC that prompted the so-called “Great Aegean Migration” !!! The usual Greek verb for “to resorb” is ἀναρῥοφεῖν and we see for another time in the homeric Epic a «μακεδονιστί» «β» in the position of a “standard” Greek «φ» and an «αἰολιστί» «υ» in place of a standard greek «ο» (compare ἀγορά and ἄγυρις and ὄνομα-ὄνυμα). Most interestingly it permited me to etymologize (Α)Χάρυβδις as the “water resorber“. PIE *h(a)ekweh(a) (Latin aqua) appears to provide many hydronyms in the Greek mainland as «αχ» (Ἀχελῶιος , Ἀχερουσία , Ἀχέρων , Ἴναχος , Ἄχιρόη and probably related to Ἀχαιοί. Although the relation of greek αχ– with PIE *h(a)ekweh(a)-“water” has already been noted by Sakellariou (1965,1977) the problem remained that in the original PIE form the labiovelar is not aspirated in order to produce “canonically” a greek /kh/. This probelm can be bypassed with some observations from the laryngeal theory. Mayrhofer (1986a:135ff) was already noted the possibility that some /dh/ in Indic actually derive from *d-h2 rahter than an original *dh : that is the laryngeals instead of combining with short vowels in order to produce long vowels can also combine with consonants and aspirate them ! The best example for laryngeal shift and secondary aspiration comes from the IE terms for “bone”. In [PIE,187] we have the PIE term *h2ost-“bone” and its various cognates : Hittite (typically for anatolian) has preserved the initial laryngeal in hastai- , meanwhile the Sanskrit term is àsthi. The sanskrit term has been explained as laryngeal shift causing secondary aspiration (Hast > astH > asthi). Now having all this in mind lets turn back to PIE *h(a)ekweh(a)-“water”. There are two laryngeals around the central labiovelar and each one of them can shift and end up aspirating the /k/ in /kh/. Hekw- >> Hak- >> akh-. For the labiovelar turning into /k/ watch the final paragraph with Doric-Macedonian Ikkos from hikwos and northeastern Thessalian kis from kwis. So again , Charybdis as Ἀχάρυβδις meaning “water resorber”. Both Charybdis and the homeric verb used anarrhubdein have a «μακεδονιστί» «β» instead of «φ» and there’s no doubt that this Aeolic forms (the «υ» for «ο» also) came to the Asian Aeolia from the mainland Aeolia in Thessaly during the Great migrations. In [PIE,267] Mallory and Adams link the greek verb κρύπτω “to hide” with the PIE root *kr(e)ubh- meaning “gather,amass”. As you can see the PIE term is aspirated and the aspiration is hidden in κρύπτω (due to the contiguity of the following “t”) , but appears normally in the adjective κρυφός meaning “hidden”. Although in modern Greek the verb “to hide” is κρύβω , with a post-hellenistic spirant «β» [/v/] which can easily interchange with the spirant [/f/] we have an interesting «β» for «φ» in the Homeric Epics (Archaic Period , technically pre-Spirantization) that can be classed as aberrant «μακεδονιστί». Through all over the epics the adverbs κρυφηδόν and κρύβδην are being used interchangeably and with the exact meaning of “in secret”. How can we explain the coexistence of “standard” and “aberrant” «μακεδονιστί» terms within the Epics ? One could say that both forms were available in the lexicon pool of the Asian Ionia and Aeolia. Another possibility -and that is what I personally believe- is that sinse it’s well accepted that the Epics were writen down in a hybrid language both spatially (Ionian and Aeolian dialects) and temporarely (through all the 1000-700 BC period) it could be the case that «μακεδονιστί» κρύβδην was the Aeolian countepart of Ionian κρυφηδόν and only secondly the two terms have intermingled and were commonly used by both Aeolian and Ionian Rhapsodists. Of course the lack of aspiration in krubdein can be normally viewed as an effect of the following /d/ (as in kruphos-krupto: ) , but it remains interesting that the complex -bd- is bivoiced (kruphe:d- > kruphd- > krupd- > ASSIMILATION > krubd-). If we consider the Messenian κεκλεβώς from κλέπτω [TGD,60] , it appears to be an aberrant form of κεκλεφώς and has been viewed as an analogical mechanism due to the common aorist in -ψα and indeed in later greek κρύπτω , κλέπτω σκάπτω are modified in κρύβω , κλέβω and σκάβω respectivelly. All three examples are indicative of the power that analogical mechanisms and internal sandhi procedures have in creating new apparently aberrant forms ! Afterall , as M. Hatzopoulos has pointed out quite convincingly that the homeland of the Aeolian Migrants Thessaly is not devoid of «μακεδονιστί» terms itself : The lake Βοῖβη in th south borders of Magnesia and Pelasgiotis related to Apollo Φοῖβος ( [PIE,467] give the reconstructed terms *bheh2– “shine” , *bheh2tis and *bheh2es– both meaning “light” , «φῶς» ) , the name Δρεβέλαος attested only in Perrhaebia and never in Macedonia with it’s “standard” Greek Ionian counterpart Τρεφέλεως attested in the Aegean Islands , the personal name Ἀμβίλογος instead of Ἀμφίλοχος attested in northwestern Thessaly , the Thessalian toponym Ὀττώλοβος instead of Ὀκτώλοφος (“eight hills”) showing the characteristic assimilating tendency of the Thessalians (for instance καββάλω and Ττολεμαῖος for καταβάλω and Πτολεμαῖος etc). Each of the terms that I’ve presented will be now examined separately because , each has more to offer. The two basic reconstructed verbs for “drive” in PIE are *dhreibh– and *h(a)eg-[PIE,286,406] . As you can easily see the first gave the english verb “to drive” , meanwhile the second root gave the greek ἄγω. In [PIE,286,406] we also see the importance of “Cattle Raid” among the IE people. In most IE languages the terms “drive” and “cattle” often meet. This is the case with english “Drive” and “Drove” and of course of greek ἄγω ἀγέλη (“drove”, “cattle herd”). The metaphor of a “leader” as “cattle driver” is best seen in ancient Lakonia where the boys were grouped in teams called “agelai” (“cattle herds“) and it’s agele had it’s “Bouagos” (“Cattle Driver“) for leader. It’s becoming obvious that the names Δρεβέλαος and Τρεφέλεως are exact etymological and semantic cognates of the very frequent greek name Ἀγέλαος and it’s NW Greek and Ionian variants Ἀγέλας and Ἀγέλεως respectively , meaning always “Leader of the People” in a common metaphora of the “The people ” as “Cattle Herd” (drive-drove , ἄγω-ἀγέλη). After all that I will now consider the Perrhaebian personal name Δρεβέλαος and it’s Ionian counterpart Τρεφέλεως. Τρεφέλεως is the “standard” Greek expected for “people’s leader” from PIE *dhreibh- and from characeristic Ionian quantity transfer λαός>(ληός)>λέως for “people”. Why is trephe- characteristically greek ? Well it has devoiced the voiced aspirates /dh/ and /bh/ in /th/ and /ph/ and secondly it operated the so called “Grassman’s law” and deaspirated the first of the two near by aspirates : *dhrebelaos >> threphelaos >> Trephelaos > IONIAN > Τρεφέλεως. What about Δρεβέλαος ? Not only it has turned «φ» «β» , but it also afftected the voiceless stop /t/ sinse it voiced it in /d/ (according to the usual phonemic interpretation). The last action is not unknown in Aeolic. In the epics the term μελεδήματα is used almost excusively instead of the “standard” μελετήματα [Odyss. , VI.650] and within a distance of few verses the terms μήδεα (“thoughts” , [VI.12]) and μητιόωσα (“thinking”, [VI.14]) coexist in full harmony. I hope that the above shows that whatever the phonemic mystery is that lies beneath the altered «μακεδονιστί» orthography of greek terms this was not only happening in the Macedonian Dialect , but in the Aeolian also , and more importantly , in both sides of the Aeolian world (Helladic Aeolis in Thessaly and Asian Aeolis). Why is is this so important ? It is because the Asian Aeolians have never came into contact with the Illyrians and the Phrygians , but yet continued to use the terms , for which ancient Macedonian was being acused as “non-Greek” or as “having recieved a great deal of non-Greek phonological influence”. None denies that ancient Macedonian due to it’s peripherical position wasn’t influenced from non Greek languages , but this influence is too small and as the Asian Aeolian similarities with Macedonian show , it’s not enough to explain the characteristic of the ancient macedonian dialect. If one really wants to move deeper in the understanding of the tongue of the ancient Macedonians he must search for intrinsic procedures within Risch’s Northern Greek Group. That is the linguistic group that disintegrated around 1200 BC and gave the dialects of the Epirotans (Epirotic and Upper Macedonian Epirotans) , Eteo-Macedonians (“Old Kingdom”) , NW Greeks and Dorians and finally Helladic and Asiatic Aeolians. Having this in mind one can understand why the «μακεδονιστί» phonology was far more frequent in the Macedonians than it was to the other “ex-Northern Greeks”. During their migrations Dorians and Aeolians have “walked and settled” on ex-Mycenaean ground and so it’s almost certain that they found a considerable “south Greek” Substratum that “southernized” partially their Northern-Greek «μακεδονιστί» speech. The example of the historical Lakonian Ποhοιδᾶν which does not derive from the Northern Greek Ποτίδας , but from the south Greek Ποσειδῶν by elimination of the intervocalic “s” common to Lakonian is a perfect example (among others , as the double name of the Festivity Kàrneia and Yakinthia and the mystery of the double Royal House) of the important role that the “pre-Doric” substratum has played in the formation of the historical Doric Dialects. Another «μακεδονιστί» name that has been found in an inscription of northwestern Thessaly is that of Ἀμβίλογος , instead of the standard greek Ἀμφίλοχος. It presents a double “macedonism” : «β» for «φ» and «γ» for «χ». The variant ambi for amphi has been also attested in Macedonia under the name Ambikatos. Sinse the Ambilogos inscription in Thessaly (Aiginion , modern Kalampaka) is dated in the roman period , one can ask how can we be sure that Ambilogos was a Thessalian and not a Macedonian or worst a hellenized Roman ? – [PIE,226] PIE *loghos “place to lie”, “ambush” gave greek λόχος. – [PIE,209] PIE * sm-loghos (the m is refering to a sonorant /m/ that in greek becomes /am/>/a/) meaning “wife” = “sharing the same bed” , which gave the Greek word ἄλοχος (just like adelphos is “borther” = “sharing the same womb” , *sm-gwelbhus >> adelphos) and the Serb Church Slavonic sulogu meaning the same thing. Now what do the Homeric Epics have to say about that ? Now Homeric καταλέγμενος is definitelly an Aeolic variant of the “standard” καταλεχόμενος and in this occasion the «γ» is “standardly expected” in Greek , because the nasal /m/ has the tendency to voice and deaspirate a preceding voiceless aspirate. Of course the Epidaurian πάρδειχμα and the Chian πρῆχμα (TGD , 367,369) testify that this is not always the case. Now my question is : Can the expected for greek katalegmenos be the “source” of lexicon diffusion mechanism of analogy that brought to the aberrant «μακεδονιστί» Ἀμβίλογος in the Aeolian Thessaly ? Note that the Aeolian-Macedonian ὔμμιν is followed by the “standard” Greek (Ionian contribution) ἐρχόμενον. As you can see ἄργματα here means “the first portions of the meal” and it is definitelly an Aeolic variant of ἄρχήματα , related to ἀρχή (“start”-“beginning”) and ἀρχάριος (“beginner”). The other term εὔγματα instead of εὐχήματα is extremely interesting because Mallory & Adams in [PIE,357] derive the greek eukhomai “to praise for”-“to vaunt” from PIE root *hieugwh– “praise”. Having presented all these examples of /kh/ normally turned into /g/ before /m/ and considering the prestige of the Epics through out the ancient greek world I have to wonder about the possibility that these phonologically normal greek terms have acted as “sources” for other -aberrant this time- transformations of similar cognates by mechanisms of analogy. Lets leave the pre-/m/ aspirates and turn back to other homeric «μακεδονιστί» aberrant terms. The standard forms of μογήσας and ἐμόγησεν are μοχθήσας and ἐμόχθησε respectively. There is no «μ» immediatelly after and yet again the aberrant «μακεδονιστί» Aeolian versions seem to have the same relation that Γαῖα has with Χθῶνα , sinse a «μακεδονιστί» «γ» is appeared in the position of the complex «χθ». Here πυγούσιος is used instead of πήχης (“elbow”/”forearm”/”ell”/”cubit”). We are lucky that there is a PIE reconstructed term *bhaghus [PIE,180] that shows the PIE term aspirated (/gh/) , which gave in Greek the “standard” term πήχυς and the aberrant «μακεδονιστί» πυγούσιος presented i nthe homeric epic. There can’t be any doubt that this «μακεδονιστί» term was added in the epics by an Aeolian Rhapsodist , for whom the term represented the “linguistic baggage” that his ancestors brought with them from Thessaly to the Asian Aeolis. At this point I’d like to present another couple of panhellenic and homeric words that have the relation “standard Greek”- “aberrant «μακεδονιστί»”. It’s the couple Φαίδων/Φαίδιμος-Φαέθων. Both Φαίδων and Φαέθων mean “bright”/”full of light” and φαίδιμος is used in the epics with the meaning of “illustrious”. 2) «ι» for «ε» as the Macedonian from Strattis’ comedy and his term «κικλήσκετε» and the famous «κικλήσκουσι» [Odyss. IX.365] with which Odysseus tells to Polyphemus that “parents and companions call him Nobody” compared to “standard” Greek «κεκλήσκειν». Turning back to the Thessalian toponym Ὀττώλοβος instead of the “standard” greek Ὀκτώλοφος , we are again in front of a «μακεδονιστί» «β» replacing «φ» in the word λόφος meaning “hill” and it’s cognate λοφίον meaning “crest”. Apparently the Greek roots lophos and lophion relate to the english term slope (as in mountain slope) and indeed Mallory and Adams in [PIE,511] present a PIE term *sleubh– “slide” , from which all three terms derive canonically. The greek «φ» is explained by the aspirated *bh at the end of the root and for that Ottolobos is a typical «μακεδονιστί» aberration. Now please note that the more famous word for “outrage” hybris is it self very similar morphologically to the terms “super” and “hyper” denoting “elevation”. Long before the proto-Greeks settle to Greece it was a common belief through out the entire ancient world that “the gods were dwelling in the mountain tops” (the pre-Greek mountain names Parnassos , Parnitha , Parnon and the Macedonian Barnous testify for that due to their relation to the Luwian word for “House” parna) . And so the hybris , that is “the overstepping of the norm” (“hyperbasis tou metrou“) , that aimed to “reduce the distance between Gods and Mortals” (and for that punished by the former) was archetypically imagined with the act of “climbing the mountain that the gods inhabit“. The most illustrious example is that of Bellerophon who after gaining fame for having killed the Chimera , committed a hybris when he tried to reach the top of mount Olympus and for that was punished by Zeus. So the morphological and archetypical relation of Hybris with Hyper and that of it’s synonym λώβις with the terms λόφος and λοφίον can’t be accidental. That is why I think that homeric λώβις is another «μακεδονιστί» aberrancy related to “standard” λόφος , in the same way that Ὀττώλοβος is related to Ὀκτώλοφος. Further comfirmation for this opinion of mine comes from the term for “leprosy” , that is the dicease that causes “crested deformations” on the skin. The “standard” Greek term λέπρα obviously derives from PIE *lep- “strip”/”peel” [PIE,496] , but the second greek name of the decease λώβα , in my opinion is related on it’s characteristical “Crested Deformations” (λοφίον). It is interesting that leprocy was unknown to the ancient greeks , until Alexander’s Macedonians first encountered it in India. So the term λώβα can be a contribution of the Macedonian dialect to the koine Greek in statu nascendi . Summarizing , there is a great probability that the Thessalian toponym Ὀττώλοβος , the homeric synonym of hybris λώβις and the alternative greek name for leprocy λώβα are aberrant «μακεδονιστί» forms of the “standard” Greek λόφος and λοφίον (with common IE origin with the english “slope” from *sleubh-)used by the northern Greek group , sinse they appear in Macedonian as they do in Helladic and Asian Aeolic. Here I’ll provide a list of various aberrant Greek words that present a «μακεδονιστί» orthography. i) The greek word for “head” κεφαλή derives from the PIE *ghebhol– and we know that the Macedonians used to say κεβαλή/κέβλη with an aberrant «β» replacing «φ». 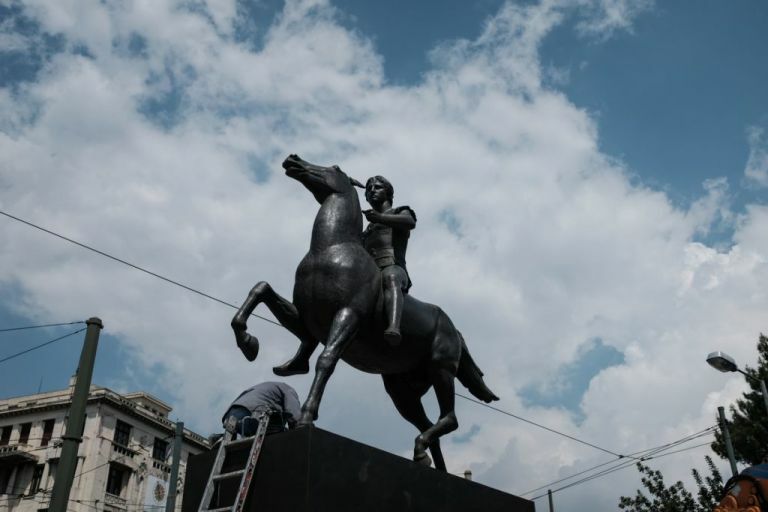 Did this aberrancy occured only in Macedonia ? From Aristophanes’ “Birds” we have the term κεβλήπυρις , meanwhile Euphorion named Athena with the epithet of κεβλήγονος (“being born from the head of Zeus”). In another paragraph I am quoting Chadwick presenting an indication that the operation of Grassmans’s Law in Greek could be a post-mycenaean event. In that case the aberrant «μακεδονιστί» Κεβαλινός seems to have a “standard greek” post-mycenaean past as /Kephalinos/ , which at some point -possibly in the classical period- turned into /kefalinos/ and the latter can easily interchange with /kevalinos/ as we have seen in the 352 BC βεβαίως-βεφαίως example earlier. ii) C.D. Buck mentions [TGD,60] that the dorians of the Peloponnesian Argos used to write γεγράβανται for γεγράφαται and Mallory & Adams present a PIE root *(s)grebh– “scratch”,”cut” [PIE,377] as the ancestor of the greek γράφειν. It has been viewed as an analogical mechanism as the κρύβω-κρύπτω-κρυφός. iii) Cretan month name Ὑπερβέρετος for “January” shows the same aberrancy with the Macedonian month name for September Ὑπερβερεταῖος (“hyper-provider” , from PIE *bher– “to bring”). The striking similarity of the two names must be due to the common Northern Greek ancestry between the Macedonians and the Cretan Dorians (Herodotus [I.56]). vi) The Dorians of Crete provide us another «μακεδονιστί» term. A variant of their Pyrrhic Dance (combat-imitating dance) was called Berekyntiake (βερεκυντιακή) . 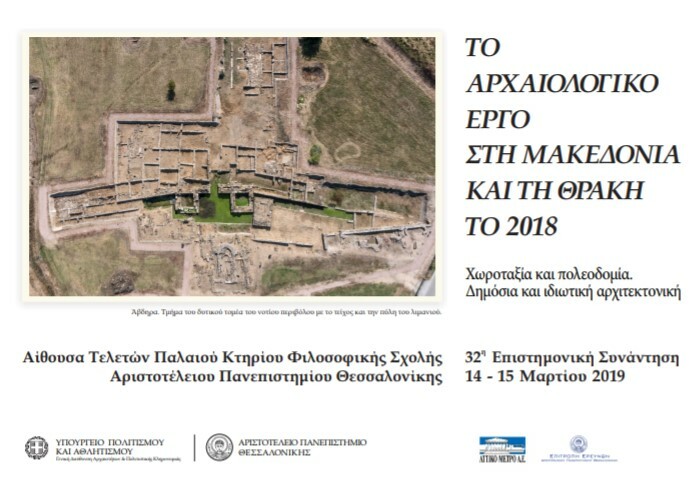 It is very tempting to see βερεκυντιακή as «φέρειν ἀκόντια» (pherein akontia , PIE *bher-) , that is “bearing spears” , due to the fact that these dances were being processed by bearing weapons. This presupposes a variant akyntion instead of akontion , that is the turn of “o” into “u”. That this feature is possible and probable in the northern greek dialects is seen by the Aeolian variant ἄγυρις of ἀγορά (hence panegyrikos) and among others the dance ὑπλομαχία (hyplomakhia) , a type of dance that was practised by bearing argive shields (ὅπλον , hoplon). v) Mallory and Adams in [PIE,271] mention : “The PIE root *lambh– is generally found to underlie words for “goods,possessions” but still retains a veral meaning “seize” in Indic (Sanskrit là(m)bhate “he seizes”/”he takes”) and Greek λαμβάνω “seize”/”take” “. So the fact that the Sanskrit cognate is aspirated (bh) reassures the original aspiration of the PIE term. This means that the panhellenic Greek words λαμβάνω and λαβή (“handgrip”) should be considered «μακεδονιστί» aberrant terms of their other panhellenic Greek cognate λάφυρον (“booty”/”loot”) which presents a “standard orthography” (*bh>φ). Starting from lamph- , the /m/ has the tendency to voise /p/ into /b/ (mph >> mbh >> mb >> b) and sinse greek had no more a voiced aspirate *bh it deaspirated it into b which afterwards assimilated the preceding /m/. Sinse both laphyron and labe have lost the /m/ (the cause of the anomaly) they seem to form a pair of standard greek – aberrant «Μακεδονιστί» cognates. So “occult nasals” seem to be another interesting source of «μακεδονιστἰ» aberrations. According to the Greek tradition Κόροιβος of Elis was the first known Olympic victor in 776 BC , meanwhile another much elder Κόροιβος (11th ce. BC ?) was considered to be the founder of the Megarian hamlet Tripodiscus. The relation between κορυφή , κόρυς , κάρα κάρηνα is easily explained by the fact that “a” and “o” are situated near the liquid “r” , like στρατός but Aeolian στρότος (“army”) and ἄρχων (“Leader”) but homeric ὄρχαμος. The -υφή of κορυφή on the other hand must be related to latin terms Obex meaning “boundary” and Apex meaning “summit”. What ever the etymology of Κόροιβος is , in both cases the «β» is a «μακεδονιστί» aberrancy of a “sandard Greek” «φ». As you can see in the name list , the funny thing is that the “standard” form of the name Κόρυφος has been attested only once and in Macedonia , meanwhile the “aberrant” form Κόροιβος was particularly frequent in the “standard Greek speaking” Attica. 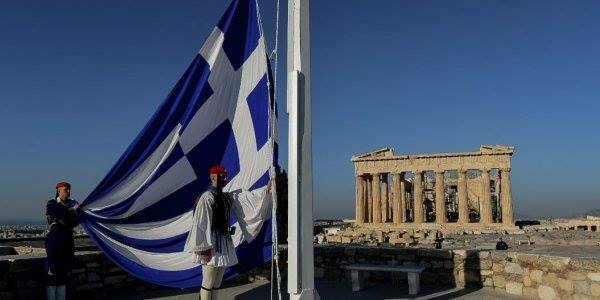 Afterall the Olympic victor Κόροιβος haδ come first and for that judged as «Κορυφαῖος » (“top-ranking”). The panhellenic word δύναμις meaning “power”- “ability”-“possibility” and it’s verb δύνασθαι meaning “be able to”-“have the power to” is in my opinion another aberrant «μακεδονιστί» term that is in use among greek speakers sinse time immemorial. I see it as a compound δύν-αμις : Its “dun-” is related to PIE *dhunos meaning “fortress”/”stronghold” [PIE,223] which gane the Celtic Dun placenames and the Proto-Germanic *tuna which evolved to English “town“. The “-amis” could be related to greek ἄμυνα “defence” and it’s verb ἀμύνεσθαι “to defend”. From the meaning “defendable stronghold” = “place where one is able to defend himself” the meaning has shifted to “general ability to do things“. The tree “Palm-tree” obviously got it’s name when some Latin speaker noted it’s similarity (branches stemming from a common trunk like the fingers branching from the palm) with the palm of the hand. Could a metaphora of the genre lie behind the greek word for “tree” δένδρον ? Mallory & Adams [PIE,182] present the PIE root *dhenr– with the meaning of “palm” which gave the Old High German tenar meaning “palm” and the Greek cognate θέναρ meaning “palm”/”sole of the foot”. Starting from *dhenr we could have the root *denron , which was affected by the same epenthetic mechanism that added a “d” in ἀνήρ-ἄνδρός > ἄνδρας , thus giving the final form for “tree” δένδρον. At this point I’like to repeat that if the «μακεδονιστί» panhellenic links in *dhunos-δύναμις and *dhenr-δένδρον don’t seem very convincing because of the *dh>δ «μακεδονιστί» transition , we shouldn’t forget the already mentioned and solid relation of the “motion related” δ-terms Δύμας , Δυμάνες , Νήδυμος and Ἄδυμος with the PIE root *dhuh2mos = “be in motion”. In reading the 2007 book “A Grammar of Modern Indo-European” by Carlos Quiles & Kárlos Kūriákī I happened to notice that in page 81 , talking about the ancient macedonian language , there was mentioned an old suggestion by Vittore Pisani that μάγειρος (“butcher”) was a Doric loan to Attic (which possessed the “standard” Greek form μάχαιρα = “knife”) with ultimate origin the ancient macedonian language , from a hypothetical PIE root *magh– “to fight”. First of all I’d like to clarify that there is no PIE root *magh- “to fight”. The PIE root *magh– ment simply “be able” [PIE,205,369] which is seen in the various IE cognates : New English may , Old Church Slavonic mogo-“am able” and the most known Avestan moγu and Sanskrit maga both meaning “magician” (“spirritually able). So as you can see none of the other IE cognates refers to “fight”. The semantic shift to “battle” & “knife” was definitelly intra-greek. Not only that , but the old meaning of “be able” has also survived in Greek : μηχανή / μαχάνα (“machine” = “expedient able to perform”) , πολυμήχανος (” ingenious” = “spiritually able” , a frequent homeric appellative of the foxy Odysseus) and finally homeric Μαχάων one of the two Achaean “Physisians” who possessed the “art of healing” ,an ability very close to that of the magician rather to a “fighter”). This means that the doric μάγειρας (“butcher” = “user of the μάχαιρα“) semantically speaking is definitelly greek , sinse the shift from *magh- “be able” to *magh- “to fight” was definitelyl intra-greek. The reason that gave the greek terms μάχη-“battle” and μαχητής-“fighter” from PIE *magh-“be able” was the greek concept that only the physically able could participate in the battle , where they could express their ability and acquire glory («μάχη κυδιάνειρα» , “battle that gives glory to men” as the Epics describe it , that is an expedient –μηχανή– to acquire κλέος ἄφθιτον). Having said so and after presenting so many «χ» turning into «μακεδονιστί» «γ» (for instance Γαῖα/Γόνα-Χθῶν , μογήσας-μοχθήσας etc) in various greek dialects , I believe we can be pretty sure that the Doric μάγειρας is not a loan from Macedonian , but along with the occasional Macedonian and Perrhaebian -μάγα female name variants of -μάχα (Attic -μάχη) ,the Thessalian Ἀμβίλογος and the homeric (Asian Aeolic) μογήσας , καταλέγμενος and εὔγματα and all the other panhellenic and dialectal greek «μακεδονιστί» cognates are a common Northern Greek heritage. Here we have another case of “occult nasal /m/” creating aberrant «Μακεδονιστί» terms. Mallory & Adams [PIE,296] present the PIE root *(s)tembh- “make stand”/”prop up”/”be solid”. The Sanskrit cognate stambhate guarantees the PIE *bh , which enables us to classify as aberrant «μακεδονιστί» all the Greek cognates with a «β» instead of a «φ». Ἀστεμφής (“impertubable”,”firm” [PIE,296]) , the mountain names Τυμφρηστός ( Aitolia-Dolopia , modern Βελούχι) and Τύμφη (near modern Metsovo in Epeirus and form where probably came the Molossian Tymphaioi to Upper Macedonian Tymphaia) and probably the elevated lakeland Στυμφαλίς in the Peloponnesus are “standard” «φ» terms , meanwhile the panhellenic term for “tumulus”/”burial mount” Τύμβος (already used in the homeric epics , for instance [Odyssey I.239 ,4.584, XII.14, XXIV.80 / Iliad II.604,793]) , the adjective στιβαρός “solid”/”robust”/”firm” and the noun στιβάς (“solid membrane” , for instance Odyssey [V.467]) are aberrant «μακεδονιστί» «β» forms. i) It has an «ι» instead of «ε» like «Φαίδων» and «κικλήσκετε» compared to «Φαέθων» «κεκλήσκετε». iii) It has a “northwestern Greek” «α» in the place of «ε» , like NW Greek Ἱαρός compared to Ἱερός. So greek στιβαρός and the Pelagonian city of Στύβερῥα (NW Macedonia , possibly “firm position”/”elevated position”/”stronghold”) seem to derived from a greek –mph– (Tumphe , Astemphes) , that first became –mb– (nasal effect) (Tumbos) , which later assimilated the /m/ and gave a plain -b- (Stibas , Stibaros , Stuberrha) , just like *lamphano: gave both laphuron and lambano/labe ! Mallory & Adams presents a PIE root that has been very productive in Greek. It’s *(s)kumbh– and with the meaning of “concavity”/”curve”/”bend” [PIE,239]. We also have an already specialized cognate *kumbho-“bowl” , which gave Sanskrit “kumbha” (“pot”) , the bh of which guarantess the original aspirated form which enables to classify as aberrant «μακεδονιστί» the greek cognates κύμβη (“bowl”) and the concave musical instrument κύμβαλον. Another aberrant term that is related to this root is κύβος (“cube” , originally with the meaning of “box” = “concave contenitor”) , meanwhile “standard greek” roots are κυφός (“humpbacked” from “bend”) , κύπτω (“to bend” with deaspiration due to the following /t/) and κυψέλη (“concavity”/”concave contenitor” , again deaspirated due to the /s/ , like θρίξ (/thriks/) , but τριχός (/trikhos/) ). Of course when ever the /m/ is preserved the [b] is well expected in greek (kumbe) , but where it is eliminated (“occult nasal”) is created pairs of apparent aberrant-“standard” cognates : (kuphos-kubos). “In the south-East of the IE world derivatives of this word are used to name the archetypical monster , the Greek monster Python and Sanskrit ahir bhudhnyas (“snake of the deep“)”. βάθος or βάνθος / βένθος as it appears in the Epics , βυθός (all “depth”/”bottom of the Sea”) , ἄβυσσος (abyss “bottomless” , from * a-bu(n)th-yos -here I have to thank Stephen Colvin for the indication of -thyos turning into -ssos , like *phulakjo > phulasso:/phulatto: ) , βυσσοδομέυω (“machinate” = “acting secretely below surface”) and possibly βήσσα (“valley” as “bottom of a region surrounded by mountains”). If the -ss- has first occured in * a-bu(n)th-yos >> abussos it is interesting to see it diffusing in bussodomeuein , where a more regularely buthodomeuein/benthodomeuein could be expected. Although there’s no «μακεδονιστί» aberrancy it is interesting to see that in all the terms the deaspirated by the operation of Grassman’s law /b/ of *bhudhna has remained a voiced stop and it wasn’t devoiced into /p/. Secondly , it is interesting to see the complex «νθ» transforming in to «σσ» (*bhudhn->bunth->bunth-yos->bussos). It is a phenomenon that we will find later on. For it is but of late that oraculous answers were given to the enquirers every month. In former times Pythia gave answers only once a year, which was on this day, as Callisthenes and Anaxandridas have told us. In this topic I will analyze the frequantly mentioned couple : Greek Ξανθός (“yellow”,”blond”) and the Macedonian and Perrhaebian month name Ξανδικός (March). In many linguistic texts I’ve seen that the etymology of xanthos remains unknown. I really can’t understand why. Mallory and Adams [PIE,329] give a PIE root *(s)cand-“shine” that gave Latin candeo “glitter”/”shine” (hence English “candle“) , Sanskrit càndati-“shines,is bright” , note the important lack of aspiration in this term which acts as a guarantor that the original PIE root had a deaspirated /d/) and the dialectal Greek word κάνδαρος meaning “glowing coal“. Both Greek kàndaros and Sanskrit càndati have a voiced stop /d/. So I will now explain why I think that the Greek words ξανθός , ξανδικός , καθαρός and κάνδαρος derive from the same root *(s)kand- and that in reality the “abnormal” term is not the Macedonian-Perrhaebian monthname Xandikos , but the common greek xanthos itself ! So without any difficulty we produced totally normally the term ξανδός , which must not be seen as “yellow” (secondary development) , but as “fair haired” (*scand-“shine”/”glow”). The panhellenic term ξανθός was produced by analogy , from the many -νθος endings in the greek vocabulary *we’ve seen above βένθος and we know the pre-Greek toponyms Korinthos , Zakynthos etc.). 2) The second destiny of PIE *skand- is to eliminate the “s” like in “candle” which gave the greek word κάνδαρος-“glowing coal”. Again by analogy we have the appearance of a non necessary «θ» in καθαρός (“clean”-“pure” , with an intermediate form κανθαρός). The morphological link between kàndaros and kantharòs is not disputed , meanwhile their semantic similarity lies on the “purifying ability of the glowing fire” or to the overlap of the terms “bright” and “clear” (“bright sky” = “clear sky”). As you can see at this point there’s nothing “non-Greek” that raises “suspicions” in the Macedonian and Perrhaebian Xandikos : It simply hasn’t participated in the optional intra-greek mechanisms of analogical secondary apsiration that produced the panhellenic xanthos. The exact relation is seen between kàndaros and katharòs. A further comfiramtion of my approach derives from the meaning that lies behind the month Xandikos : during that month a festival of purification of the army occured called Xandika. The Macedonian army passed between the two parts of a dog which has been cut in twain. The same ritual was practised in Boiotia during the “Public Purification” ( «δημοσίᾳ καθαρμός» , Plutarch [Mor. 290D]). Not only we managed to derive καθαρμός and Χανδικός from the same linguistic precursor (PIE *(s)kand-) , but we’ve also managed to see the two terms overlap in rituals of purification. As a final note in this topic I’d like to recall the example *bhudhno–πυθμήν–πύνδαξ and ἄβυσσος. Starting from κανθαρός with its original meaning of “bright”/”glowing” we get the personal name Κάσσανδρος “Illustrious man” (kanth->kanth-yos -> kass-) in the same manner that we saw ἄβυσσος relating with βένθος. In the same time the adjective and personal name Κάδμος (again “Illustrious”) and it’s verb κέκαδμαι-κέκασμαι “be illustrious”/”excell among others”) have the same meaning with the original root of κανθαρός and seem to have as a pair similar “commutatory transponition” with that of πυθμήν-πύνδαξ. It is interesting that according to the Argive Myth Hera used to wash herself in the lake Kanathos (<< kanthos << * (s)kand-) in order to regain her “purity” (virginity).